There are many way to add that special touch to your window blind. Why not give them a stylish enhancement with a sleek and slim cassette. The cassette is fitted to the top of your blind, discreetly housing the operating mechanism. Choose from an open cassette or a closed cassette, available in a variety of colours, enabling you to coordinate or contrast your blind with your room décor. This system comprises of a slim line cassette profile, which covers the upper section of your roller blind. Open Cassettes are available in White, Beige, Chrome, Anthracite Grey, Bronze, and Black. The open cassette also features a fabric strip, therefore allowing you to add a matching fabric profile to the cassette for a soft touch. To illustrate this we have added a matching fabric strip to the open cassette on the Collina Diamond Dust Roller Blind. It looks great and finishes off the blind perfectly. This closed cassette system consists of a cassette profile that completely encloses your blind’s fabric roll. Therefore the blind roll is completely hidden from view encased in the closed cassette. Similar to the open cassette a fabric strip to match the blind fabric is supplied. This strip spans the full width of the cassette system for a design that seamlessly blends together. Pairing a cassette with your window blind is a great way to add some distinctive character. 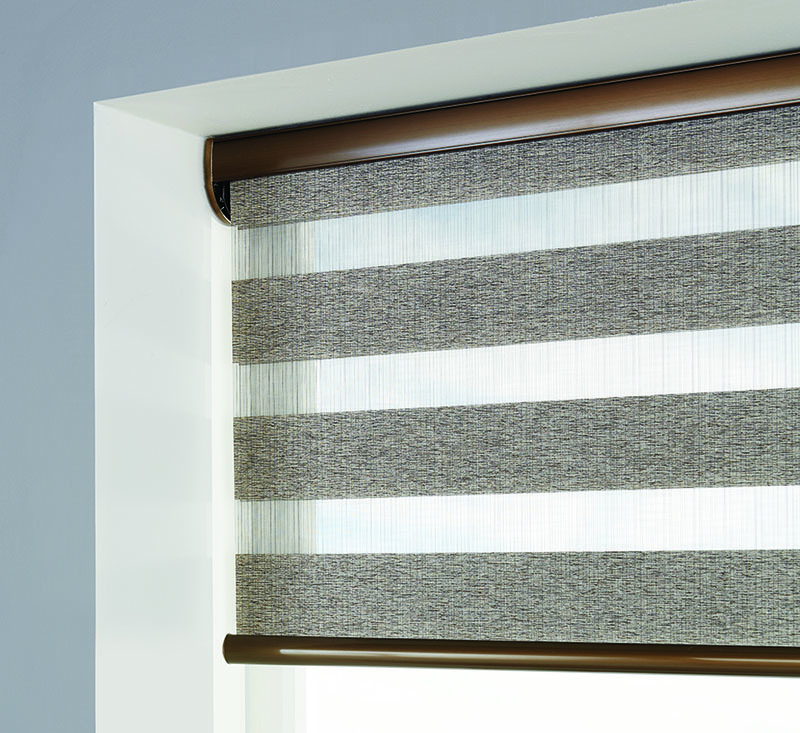 In particular if your blinds are a neutral colour, maybe white or cream, then using a darker cassette like the anthracite grey cassette, and finishing it off with a complementing bottom bar will ensure that your window blinds are a real feature in the room. The bronze open cassette works perfectly here with the Venice Silver Vision blind in the photography on the right. Furthermore for more information on cassettes for roller blinds, vision or visage blinds chat to your nearest SLX Blinds Retailer today.